Dismissed from their jobs as part of earlier, administrative investigation into the Gülen movement, 7 judges and 2 prosecutors were taken into custody on Tuesday. 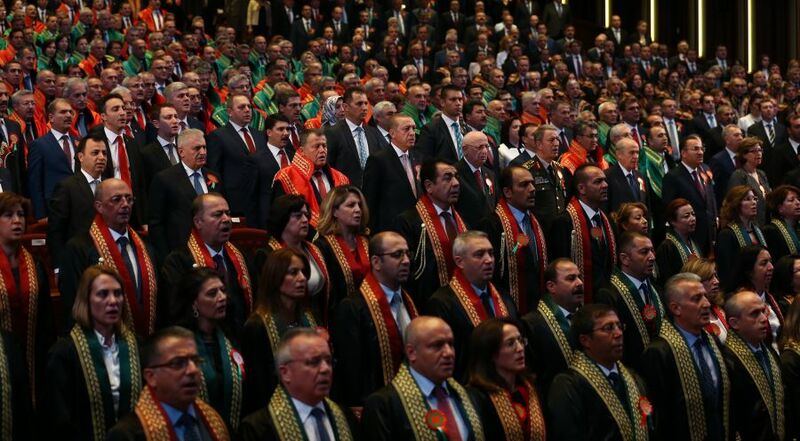 The Supreme Board of Judges and Prosecutors (HSYK) has dismissed 4,317 judges and prosecutors so far over alleged links to the movement, which the government accuses of being behind the July 15 coup attempt. The detainees were among 45 judicial personnel HSYK dismissed on Monday, according to state-run Anadolu news agency and they are accused of membership to the movement or what the government calls a terrorist organisation.